After a long time away, today were are delighted to be back with our #CaminoTales section: your stories about the Way of St James. 1 After a long time away, today were are delighted to be back with our #CaminoTales section: your stories about the Way of St James. 1.0.1 -What where your motivations to walk the Camino and why did you decide to write a blog about it? 1.0.2 -How did you prepare for the Way of St James? 1.0.3 -Could you tell us an anecdote about your Camino? 1.0.4 -Best & Worst part of your Camino de Santiago? Krista is from Halafix (Nova Scotia, Canada), and she walked the Way of St James for the first time in 2014. 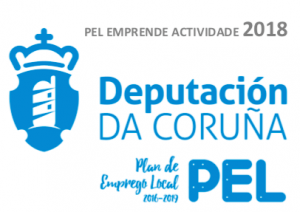 She decided to do the French Way, from León to Santiago, and was so happy with the experience that is preparing her second Camino, this time on the Portuguese Way (from Porto). She has her own travel blog, Bite-Sized Travel with loads of useful information, not only about the Way of St James but also about other interesting destinations. -What where your motivations to walk the Camino and why did you decide to write a blog about it? I learned of the Camino on my first trip to Spain in 2011, when I met a couple on a Madrid food tour who had just completed their second Camino. By the end of the night, I was sold andÂ made a plan to return to Spain in 2014 (the year I turned 40) to do it for myself. I started blogging about my travels in January 2012, so when I started planning my Camino in 2014, it was natural to write about my preparations and my Camino experience. -How did you prepare for the Way of St James? I bought my boots and pack a little less than a year before my Camino and started breaking them in. Over the year, I did a lot of trial and error with gear, fin ding the best combination of the least amount of gear for the experience. I also did a lot of walking. Usually 5-6 kilometres per day, with longer treks on the weekends. My friend Lori did her Camino at the same time, and we did long hikes (20-32 km) mostly to see what walking 30km a day would feel like (it did not feel good). I also did a lot of fitness conditioning at that time – squats, lunges, weights, endurance, to ensure I was as physically prepared as I could be. I have some long-standing back issues, with disintegrating and herniated discs, so I needed a long time to get myself physically ready for the undertaking. I pre-booked accommodations on arrival in Leon and then booked places with my “Camino family” of 5 for the last week or so of the walk, once we hit the Sarria crowds. -Could you tell us an anecdote about your Camino? My group of 5 stayed for a night at Casa Barbadelo, just past Sarria, where there is a communal dinner at night. At dinner, my friend Lori and I were seated with a group of 3 other Canadian ladies who we hadn’t met yet. The menu is provided in Spanish and I spoke the most Spanish of the group, so I provided some light “translation” of the night’s offerings, which included meatballs, or, in Spanish, “albondigas.” As the night wore on, and the wine flowed, every time we refilled our glasses, the word “albondigas” got funnier and funnier, so we started toasting with that instead of “Santé!” or “Salud!” or “Slainte” (as we say here in Nova Scotia). To this day, Lori and I still toast by saying “Albondigas!.” It is ridiculous. Also, a cat in Molinaseca started playing with my bootlace when I stopped for a coffee break, and they tried to run away with my boot. -Best & Worst part of your Camino de Santiago? Best: just about everything. I read a lot in preparation, but didn’t look at a lot of pictures, so the experience would be visually fresh. Every day was full of stunning things to see, from mountains, to quiet trails, to sleepy towns, and the occasional farmer who wished you well. Worst: the Camino Frances changes abruptly after Sarria, because of the very large number of people who just walk the last 100km to get the Compostela. 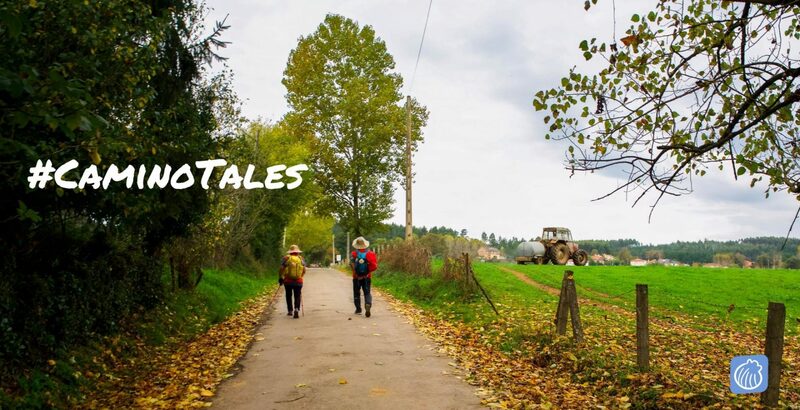 This is the second story of our #CaminoTales section, if you want read more testimonials about international Pilgrims on the Way of St James, check out our last post, A Texan on the Way. You can find more info on our Social Networks, using the hashtag #CaminoTales (Facebook, Twitter, Instagram). For more information about the Camino de Santiago, or any of our tours, please do not hesitate to contact us here.